I did have some issues in regards to the ending. Specifically with what happens with Abbie. 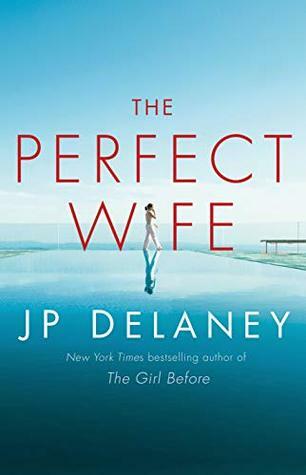 Sign into Goodreads to see if any of your friends have read The Perfect Wife. I had an issue with the end of another of this author's as well! Hope your next is an amazing read!! Holly wrote: "I had an issue with the end of another of this author's as well! Hope your next is an amazing read!!" Yun wrote: "Great review, Sheyla! This books sounds intriguing. I'm glad you enjoyed it, even though you didn't love the ending. :)"
Thank you, Yun. I wished the ending was different. Great review Sheyla! I liked the ending! LOL Totally threw me and it was different and unexpected. Can't wait for us to talk about it next time we get together. Miss you! Melanie wrote: "Great review Sheyla! I liked the ending! LOL Totally threw me and it was different and unexpected. Can't wait for us to talk about it next time we get together. Miss you!" I didn't like the ending of the book. Made me mad. Michelle wrote: "Excellent review, Sheyla! 💕"
Felicia wrote: "The bad guy has to win occasionally! Fabulous review, Sheyla 💖"
Selena wrote: "Great review Sheyla!"